I am proud to say I was born and raised in Fort Collins. I moved to Boulder eventually where I received my Bachelor’s degree in Communications from the University of Colorado. I loved living in Boulder and experiencing the culture there, but moved back to Fort Collins, because it is where my heart lies. Luckily, I landed here, to join the amazing team Dr. Shumaker has. I cherish getting to meet all the patients and hearing their stories. Like most Colorado natives, I have a major love for the outdoors. I enjoy anything and all things that involve being outside like searching for the perfect camping spot as soon as weather gets nice or snowshoeing around frozen lakes in Rocky Mountain National Park. I recently started hiking fourtneers, a passion my dad and sister found too, so we spend several summer weekends waking up at 4 am to travel to the base of one of the 53 peaks here in Colorado. I have found that there is no greater reward or view quite like being at the top of 14,000 feet. My other great passion is food, not making it, just eating it. Tasting different foods and restaurants is an immense hobby of mine, so if you know of any great places don’t be hesitant to pass it along. I was born in Colorado and raised in Idaho. My family and I decided to move back to Colorado in 2012. I have been married to my best friend for 25 years and we have 3 beautiful kids. Outside of work I enjoy spending time with my family, friends and pets. I enjoy cooking, baking and gardening with my family and we all enjoy hiking, fishing and being outdoors. Another passion of mine is studying and implementing essential oils into my daily life. I am excited for this next chapter in my life meeting new people and being part of a great team at Northern Colorado Periodontics. Blair is a Colorado native and has no plans of leaving this beautiful state. After spending almost 10 years in the dental field, she loves perio the best. When she is not at work, you can find her with her bulldog, Louie at the dog park. Kelly is our Practice Manager. She is Irish and born on St. Patrick’s Day. Enjoys working out and spending time with her family. She works hard to help manage both the Fort Collins and Greeley offices. A Colorado native, I have two boys. We have a Havtese dog named Jingles, who will be 3 on Christmas, hence his name. My hobbies are spending time with my boys and participating in their activities, photography, scrapbooking, and golf. I have 18 years experience in the dental field, and 15 of these years are in periodontics. I’m excited to be working with Dr. Shumaker in Greeley! I was born and raised in Venezuela and then moved to Kimball Nebraska when I was 14 years old and then to Greeley Colorado when I was 17 years old. I attended AIMS but felt like having some fun so I made the move to Breckenridge where I was a ski instructor for two years. Then I moved back to Greeley, and since dentistry always interested me, I decided to go to Dental Assistant School. My family and friends are my everything and I keep them close to my heart as much as possible. 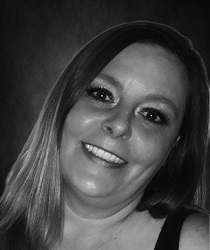 I'm outgoing with a great sense of humor, and I work very hard to provide the best care. I have been in the Dental field for 11 years, in 2006 I received my Expanded Duties Dental Assistant Certificate. I am very excited to be a part of Northern Colorado Periodontics, and rocking it out as a surgical assistant. I like coming to work everyday knowing that I can help make a difference for people and leave at the end of the day knowing that I did just that. I moved to Colorado in '96 from Vermont, and currently live in Johnstown. I married Jason in 2002, and we have 2 amazing children Madeline who's 10 and Henry who's 4. When I'm not busy at work, I enjoy being a mommy, camping, snowboarding, boating, dirt bike riding, and taking vacation's somewhere hot and all inclusive. Life is to short, I push myself to enjoy every minute of my life, I don't let fear get the best of me, and I do what makes me happy. I continuously look forward to meeting more patients, and very excited to be apart of a wonderful team. Photo coming soon! 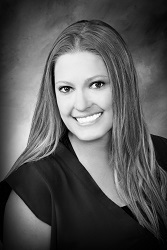 Renee is a Fort Collins native that is excited to be a part of the Northern Colorado Periodontics team. 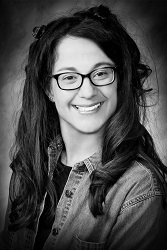 She has been providing patients with dental care since she graduated from the Dental Assisting program at Front Range Community College in 2013. With a strong sense of compassion and comfort, Renee is dedicated to giving patients with the best dental experience possible. She has a love for the outdoors and when she is not at work, you will most likely find her outside! She loves snowboarding, hiking, camping, live music, and spending time with her family, friends and boyfriend. Photo coming soon! LaRina grew up in Westminster and has lived in Colorado all her life. After four years as a police officer in the Marines, she started a career in healthcare where she has been for the past 17 years with the past 7 being in dentistry. LaRina has been married for 16 years to her husband Sean and together they have 3 beautiful girls: Riley, Vanessa and Coraline. She also has a twin sister LaRissa! Megan is a Colorado native, she graduated from the University of Colorado School of Dentistry with her bachelor's degree in Dental Hygiene in 2006. She has a passion for her patients and strives to find ways for each individual to better maintain their oral health. Away from work, she loves spending time with her husband and two young children. She also loves anything creative especially when she can share it with others and is always looking for a new project.